안녕하세요!! Calling all Korean lover. 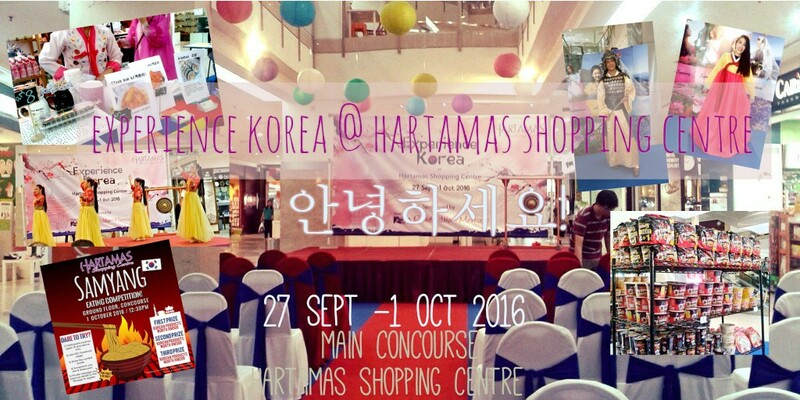 There is a Korean fair @ Main Concourse of Hartamas Shopping Centre where you can come and discover Korea like no other. 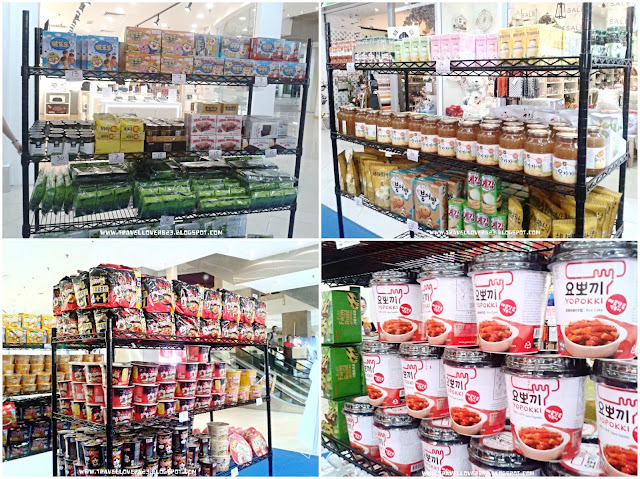 There will also be a showcase of Korean culture also happening at the Main Concourse daily from 1pm onwards.In the Korean fair, you can experience a series of Korean traditional activities, Korean products and also find awesome travel deals. 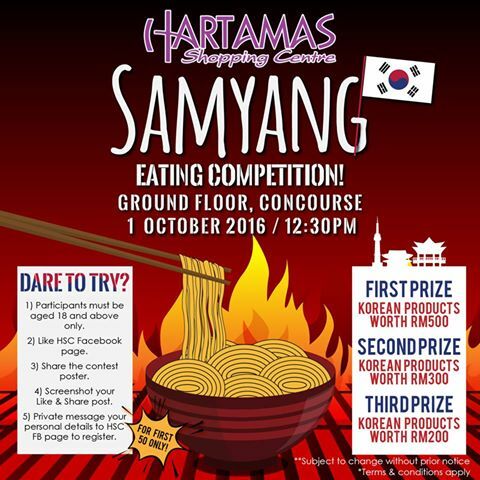 This Korean Fair is meant to share the culture, connect and experience with the visitor and shoppers of Hartamas Shopping Centre where it is located in the diverse and affluent Hartamas-Mont Kiara urban residential and commercial enclave. And it is known as little Korea in that area. Let me show you what I found in the event !! What Korean food is your favourite? Kimchi , Tteok bok ki or Ramyeon ?What I had mentioned ,you can find it in the Korean fair. There got a counter selling Korean traditional snacks. One of the Korean snacks attracted me called Tteok kkochii which looks similar like Tteok bok ki but in the bunch type. If craving for that Korean street food, you must try this. If you still feeling not enough eating there, you can buy some Korean snacks and Ramyeon. You may find the Hot N Spicy Ramyeon and bring back home challenge with your friend. This end of the year will be the winter season ! Korea is a famous country for skiing during winter time. I always saw this in the famous show ---《Running Man》 and wish to go there skiing with my friends. 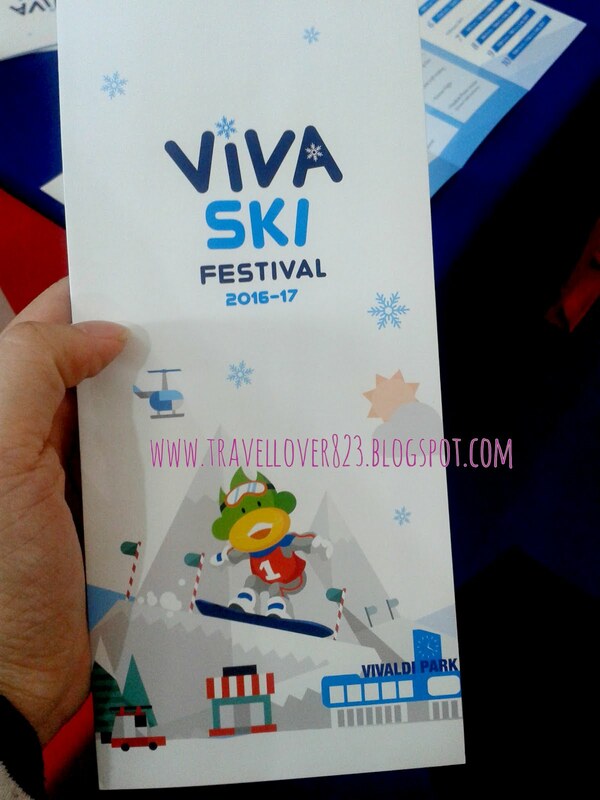 There will be a Viva Ski Festival this year at Vivaldi Park , Korea. 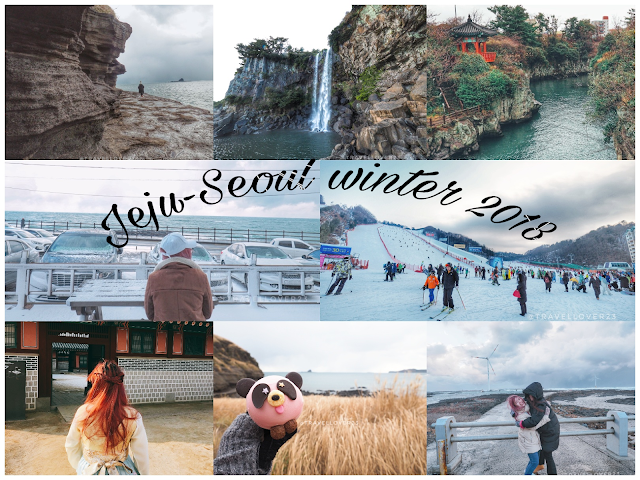 In the counter, you may find a 3-day package which provides you skiing lesson , cooking class, a day in Jjimjilbang (Korean Style Sauna), wearing Hanbok (Korean Traditional Dress)and much more. They not only provide skiing package but also other activities includes accommodation offer as well. 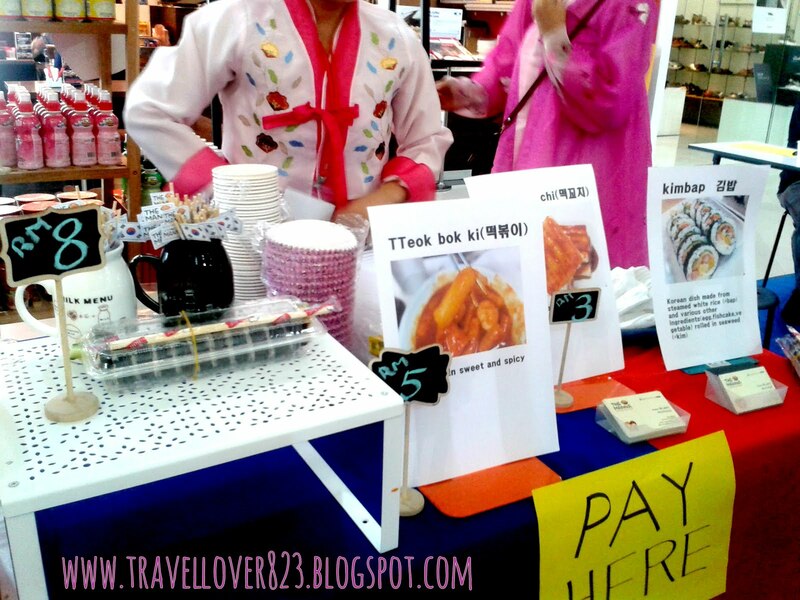 Want to find out more, do visit the counter at the Korean fair. The daily activities chosen to be showcased during the 5 days fair are the traditional cultural dance at the opening, the Ddakji/Korean kite demonstration on the second day, Destruction (Korean traditional throwing sticks game)on the third game, Kimchi demonstration on fourth day and Samyang eating competition on the last day of the fair with great Korean products to be won. Don't miss it ! 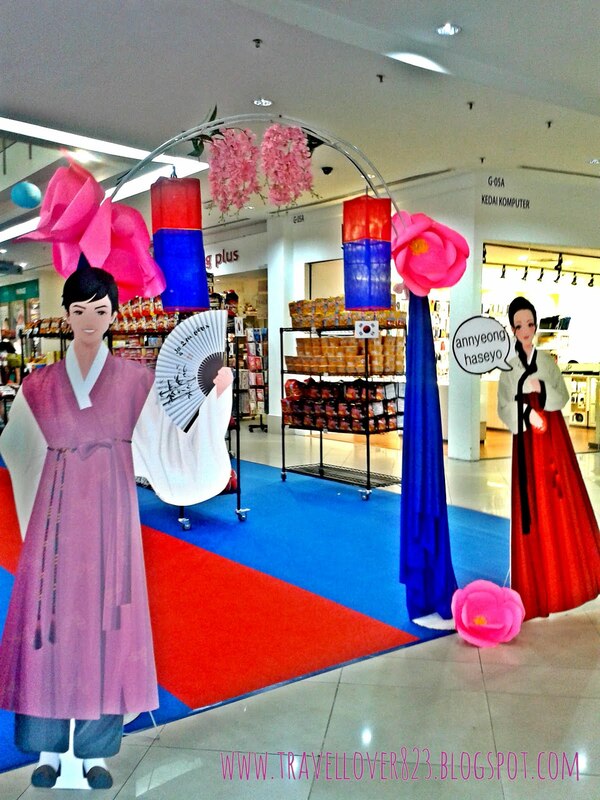 Now you have the opportunity to try on the Korean traditional dress, Hanbok in the event. So, do not miss it , guys ! so much fun there! Wish to join Viva Ski Festival in Korea . I've not been to Korea yet, so this is a good opportunity for me to see what the country is like. And I'd love the chance to don the hanbok. 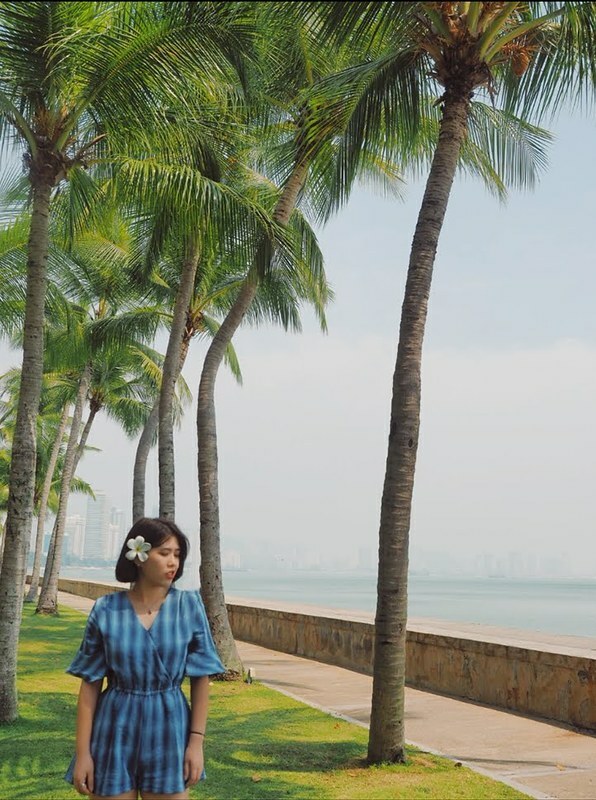 You looks great with the Korean outfit. Looks like a great event to promote Korea. You looks so pretty in Korea tradisional outfit.. Nice event..